Published by OpenStax, this introductory, algebra-based, two-semester college physics book is grounded with real-world examples, illustrations, and explanations to help students grasp key, fundamental physics concepts. College Physics includes learning objectives, concept questions, links to labs and PhET simulations, and ample practice opportunities to solve traditional physics application problems. 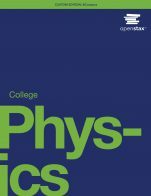 The College Physics cover is copyrighted by Rice University. It is not subject to the Creative Commons license and may not be reproduced without the prior and express written consent of Rice University. College Physics (OpenStax) by Dr. Paul Peter Urone, California State University Sacramento, Dr. Roger Hinrichs, State University of New York, College at Oswego, Dr. Kim Dirks, University of Auckland, New Zealand, Dr. Manjula Sharma, University of Sydney, Australia is licensed under a Creative Commons Attribution 4.0 International License, except where otherwise noted. This book has the feel of a typical algebra based first year physics book, suitable for algebra-based first year physics courses anywhere. This book has reportedly been produced as part of a well-funded project (including support from the Hewlett Foundation, Gates Foundation, etc.) and, despite it being made available for free, does not appear lacking in quality. A general practice in physics education at the first year level is to split courses (and corresponding textbooks) into two streams: algebra-based and calculus-based. This book is not intended for use with calculus-based courses. bias. The one exception I detected is in Ch. 26 where the Square Kilometre Array is discussed in a way that does not appear technically correct to this radio astronomer. This book pays good attention to highlighting the application of physical principles in contemporary society, often by description of technological devices. Although the physical principles do not become outdated, the specific devices referred to will need updates and maintenance.. This is generally what is done with all physics textbooks at this level. I used mainly the PDF version (hardcopy and on screen) for this review - no issues experienced. This review has been conducted jointly by Takashi Sato and Tyron Tsui (alphabetical order). Tsui nominally examined Chapters 1 - 17 and Sato nominally examined Chapters 18 - 34. Further, Dr. Tsui has the experience of having adopted this book for his class (Summer 2013 semester) and has shared his experiences with me. I believe we are in good agreement with each other’s comments and I have benefited from the discussion. However, rather than merging our comments into one submission, we are each making our own submission. (2) The authors do not use the symbol "e" for the fundamental charge, 1.6 x 10-19 C, which is the standard notation . They use “q_e” instead. This choice of symbology is very unusual, perhaps unique, in textbooks for this audience. Because the two forms of notation are completely equivalent, it can be ascribed to a stylistic choice and this reviewer has no strong preference. However, I question whether it is prudent to graduate our students without knowing what “e” means. (3) This textbook incorporates the use of PhET simulations throughout. Simulations produced by the PhET project at the University of Colorado Boulder is the current golden standard and fans of PhET will surely embrace its prominence in this book. (4) Prompted by Clint Lalonde’s question regarding the suitability of using parts of this same book for multiple courses, I looked at the chapters on special relativity and quantum physics to see if it might be suitable for a second year course in modern physics. The chapter on quantum physics serves only as an introduction and thus unsuitable for a modern physics course. The chapter on special relativity is more promising, and the algebra-based nature of this book is indeed sufficient for special relativity. However, it is only one chapter and I would imagine most modern physics courses will require more depth on this topic. Of course, while we physics teachers may forget to state the obvious, the algebra-based first year course I refer to in the opening is often a two-semester sequence (i.e. two courses. (4) The publishers provide supplements, much like any other modern textbook. In addition to an instructor solution manual and powerpoint slides, electronic supplements such as WebAssign and Sapling are also available. More specifically, I have learned that OpenStax has worked with Sapling Learning to produce an online homework tool tailored for this book. 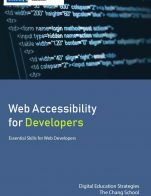 I have seen it demonstrated and for this particular book, unlike other books Sapling works with, the e-text has been integrated into the Sapling product. Students pay $40 instead of the usual $30 for this convenience. (5) I would like to reiterate Tyron Tsui’s comment about the lack of ratings of end-of-chpater problems. The text included and appropriately covered all topics necessary for a first-year algebra-based physics class. An index is provided in the PDF version of the text, but a link to the index in the web version of the text was not found. There are glossaries at the end of each chapter. Compared with a large glossary at the end of the text, it was easier for students to review the new terms, but trickier for them to find a term defined in a previous chapter. Chapters begin by introducing and developing physical concepts and end with sections covering modern applications of those topics. Keeping the applications updated seems like it would be straightforward. Each topic is introduced with a contextual or motivational section. Next, the concepts are developed and terms are well defined. The structure and text was generally straightforward. As mentioned, chapters/topics begin and are developed with the same framework. No issues that would distract the reader, but the font and style used for numbers, scientific notation and units change depending on where the value is shown and what the units actually are. Maybe it’s the equation/math type program they used? The equations and some symbols disappear when the PDF is printed on certain printers or when the original PDF is modified (lines highlighted or reprinted to 2 or 4 pages on a sheet). The bars over average variables sit high. Most other physics textbooks provide a rating for each end-of-chapter question (I, II, III) as a rough estimate of the question’s difficulty. I’ve found the system to be useful for myself and for students working on unassigned problems. The current PDF of this text (col11406_1_8_13.pdf) does not have such a system. Most forces in the text are given the symbol F with a subscript to differentiate, but weight, normal force and tension are W, N and T.
At the suggestion of BCcampus staff, this review has been prepared jointly by Takashi Sato and Tyron Tsui (alphabetical order). Tsui nominally examined Chapters 1 - 17 and Sato nominally examined Chapters 18 - 34. Further, Dr. Tsui has the experience of having adopted this book for his class (Summer 2013 semester). Comprehensive and include much more than could be covered in two one-semester introductory courses. The Index and glossary are find. The pdf version needs a Table of Contents for navigation. *2. (2.2) "A vector is any quantity with both magnitude and direction". Not true. A vector has magnitude and direction, but some quantities with magnitude and direction are not vectors, e.g., rotations. **4. (2.4 and 2.5) The concept finding displacement from the v vs t curve by the area under the curve is not discussed. True, this is an integral calculus concept, but I have never found students to be troubled by it. This concept is necessary to derive the kinematic equations. For example, the statement vavg = (vi + vf)/2 is not obviously true. Note that a common student misconception is that the average velocity is an average of some velocities and taking this statement as obvious panders to that misconception. *5. (2.7) Although most textbooks do it and it's not wrong, I don't like introducing the concept of "the acceleration due to gravity" in the kinematics section before discussing mass and force. The only reason it's done is to give a wider repertoire of constant acceleration problems. I prefer introducing "g" as the "gravitational field strength" which, when multiplied by the object's mass (see discussion later) predicts the force of gravity on it. Only in the absence of air resistance or other forces is the object's acceleration equal to g.
*7. In figures such as 2.4, the points on the parabola are connected by straight line segments. They should not be. 8. Ch 9: Positioning of arrows over the figures of male bodies on the free bod diagrams. may cause some amusement among adolescent readers. ***9. Simple pendulum discussion needs revising: "We see from Figure 16.14 that the net force on the bob is tangent to the arc and equals Fnet. (The weight has components along the string and tangent to the arc.) Tension in the string exactly cancels the component parallel to the string. This leaves a net restoring force back toward the equilibrium position at θ=0." This is wrong. During the swing of the pendulum the acceleration direction varies. It goes from being tangential to the arc at the extremity to pointing toward the pivot point as it swings through the equilibrium. See this figure http://en.wikipedia.org/wiki/File:Oscillating_pendulum.gif . The acceleration vector is pointing in the direction of the net force. **10. (25.6) There needs to be a discussion of angular magnification in this section and how it applies to the simple magnifier held a focal length from its object. In that case a magnified image is clearly seen with good eyes, but the lateral magnification, as described in this section, makes no sense because it is infinite. **11 (26.4) The magnification of the microscope suffers from the same lacuna as that of the simple magnifier, but worse. The important point is that the angle subtended by the object observed through the microscope is larger than it would be if viewed by the naked eye at the eye's near point. The calculation of a lateral magnification in a case where real images exist somewhere in space at an arbitrary position that is closer than infinity tells us nothing about the apparent magnification seen by the eye, which is the angular magnification. 12. CH 27: the combined contributions of the double slit and single slit patterns to the pattern of the double slit interference is not discussed, but is hinted at in the problem 11. This should probably be discussed in the text before one could expect a student to do the problem. 13. Ch31: The picture depicting synchrotron radiation actually has little if anything to do with this chapter? This list is probably shorter than a similar one of the good things about this book. But these items (especially the starred ones) are important enough to warrant some concern that other issues would be apparent when a closer look at this book would occur when teaching a course from it. There are many worked example that will be appreciated by the students. Some of the problems are interesting and unusual. It's ok. I have mentioned some data on GDP/Capita that seem outdated. The material covered generally is not changing that qickly. Yes. I have mentioned some issues in a previous box. Good. The textbook should be broken into smaller files to easily use in tablets or smaller netbooks. The issue of operationally defining mass and how to measure it is also discussed in a previous box..
it is worthwhile addressing the accessibility and usability of this textbook. The initial link I was given was to a pdf file many hundreds of MB in size. Currently in one of my courses I am using a textbook whose highquality pdf is about 1/10 that size. After downloading I noticed that it was impossible to copy any text from the display. Perhaps this is an antiplagiarism measure or copyright protection. Downloading from the link shown in the front of the pdf, I got a copy that did not have this feature. Furthermore, there was a lowresolution version pdf as well as epub versions. The lowresolution was indeed a manageable size and the quality was acceptable. It should be noted that most of the figures are line drawings. Line drawings can be imbedded in a pdf using a vector graphics encoding (such as eps) that retain the full resolution of the images at a fraction of the size of a bitmap. Indeed, all images in the pdf were jpeged bitmaps which made them big and full of compression artefacts in the smaller pdf file. The readability of the pdf version of the book approaches zero. The text is very small, sans serif and each line is much longer than what is needed for comfortable reading. When reading a paragraph, the eye often finds itself at the beginning of the line just read or completely lost. Furthermore, there is no sidebar table of contents for easy navigation. The thumbnail view shows barely recognizable page images that give no help in navigating around in the huge book. So I tried the epub. It is much larger than the lowres pdf, undoubtedly because of the images. The epub version was not able to be read by iBooks on the iPad. (I’m not referring to the special paid edition.) The only ebook reader that would load it was Calibre. (A fine piece of software). Using my 2010 MacBook Pro it took about 3 min to display the first time. The epub formatting was very legible and pleasant to read. The images were clear and well placed. Pages could be navigated rapidly within a chapter. There was a sidebar table of contents allowing quick navigation from one place to another. Transitioning from chapter to chapter caused a delay of a few seconds, but it was not annoying. The equations were legible, although the bitmap images of them looked a little crude. (Is mathJax coming to epub sometime?) One issue was that after navigating around in the book the images start to disappear. Unlike pdf, epub is supposed to allow svg vectorgraphic images, but is seldom done. The best solution for the epub would be to break the book into several parts according to the normal division of firstyear physics courses. On to the contents. As I say, it's unfortunate that most students will not read the purple prose of the authors, or try to follow the logic of the exposition. Nevertheless, I think it's worthwhile to present an intellectually respectable narrative. Unfortunately most "College Physics" books are written for an audience that often is not attracted to taxing their brain over the intricacies of the subject. An easily digested gloss may be rated higher than a text that tells the full story. There are some textbooks that achieve a happy medium between simplifying too much and explaining in a rigorous way. But the average College Physics, algebrabased textbook tends to simplify too much. I am ok with this aspect of the book. It's unfortunate, but most of us who teach physics soon realize that students don't read the textbook. Perhaps they use it as a last resort for finding hints on solving homework problems. No matter how well written, laid out, feature-filled the effort gone into preparing even the best textbook is wasted. The textbook by Urone et al. is a College Physics text. That means it is intended for an audience whose main interests usually lie elsewhere than the physical sciences or engineering. A textbook is usually recommended or assigned by the instructor with little input from the student; therefore, it is good to have an option that is inexpensive and portable. On this count, Urone et al. surpasses most other commercially marketed textbooks. On the other hand, its content does not. The list of issues is probably shorter than a similar one of the good things about this book. But these items (especially the starred ones) are important enough to warrant some concern that other issues would be apparent when a closer look at this book would occur when teaching a course from it. There are many worked example that will be appreciated by the students. Some of the problems are interesting and unusual. I do approve of suggesting the interactive activities with the PHETs and even more appreciate actual takehome experiment suggestions. Perhaps more guidance to the student could be given in carrying out their investigations by providing a worksheet or more detailed instructions. The examples and problems of biological nature are also commendable. One does wonder whether the authors have the expertise in all the various aspects of biophysics necessary to properly vet them. a.	Glossary is provided at the end of each chapter, but I feel the definitions are not detailed enough and are too specialized without referencing the particular cases where it is applicable. For example, the rms equations work for sinusoidal functions (which is what the book deals with) but, that limitation is not clearly stated to the student. Some glossary terms are a bit too succinct and as a result are oversimplified. For example: "model: simplified description that contains only those elements necessary to describe the physics of a physical situation"
c. The index is fairly detailed, easy to click on the page in the pdf. d. The range of topics covered is quite vast and is enough for a first-year introduction. However, the amount of detail provided for some of the basic concepts is in some cases too little. I would need to go through the text with a fine-toothed comb to be able to say this with all certainty, but it seems that overall the material is accurate, error-free and unbiased. I believe so, of course there are (as always) the photos with computers that look dated, but should not be difficult to fix. Many images are general enough to withstand the test of time. The material is modular enough that things could be added/removed/modified as needed. a.	I find that the explanations of the basics for many topics are too limited. More time is devoted to the (admittedly more interesting!) subtopics or ideas that follow the basics. I think that the explanations of the basics are lacking, especially in the later chapters, and the students may need to use additional references. However, the text is more interesting than others because of the inclusion of the extras. d.	The authors clearly tried to make connections with real-life examples and I think that is very helpful to get the students' intuition to connect to the challenging concepts. a. Each chapter is sectioned, labeled and indexed well. Has own self-contained glossary and review at the end. Obviously, some chapters must be done after others, especially the specialized chapters, but this is not an issue. Other than that, there is not undue reliance on previously presented material. In fact, some material is repeated in several locations in the text as needed. b. In general, the text is quite large and would definitely need to be split up in some way. Chapters would have to be omitted or the text would have to be split into 2 parts. It seems that it lends itself well to that. The tone of the text is definitely accessible to students, and is an easy read. However, the flow of ideas (in some cases) may be difficult for inexperienced students to follow. The thoughts are not compartmentalized, they are more of a lecture-style explanation rather than solid, clear-cut description of the material. I think this will work well for the more engaged students but may be difficult for the weaker students. This may potentially be an issue. Personally, I would have re-organized some of the chapter contents and grouped things together a bit differently (especially the circuits, EM chapters), but I think that is more of a personal preference rather than a criticism. Aside from that, some pixilation is also evident in some photos, but not terrible. Most figures themselves are clear and of good size, but some are a bit cluttered and small, ex. 18.24.
b. In general, some images have a feeling of being placed a bit haphazardly, maybe rounding the corners or putting a frame around them would have made them look more in-place. Other images look well integrated. c.	Equations: Inconsistent sizing of things like brackets, superscripts look out of place, bars over symbols are too far just general formatting issues. Probably occurred when the document was converted to pdf. Some numbers look larger than the surrounding text. d.	Navigation: The links that I tested worked (from index, to chapter section, to the PhET simulations). Images try to be inclusive of various ethnicities. I saw no offensive terminology. a. The use of the links to java games (PhET Interactive Simulations) is a great idea, though the games themselves are not particularly good or well-defined (it is not clear what the user is supposed to do to play the game). b.	I’ve never been a huge fan of the prime (‘) notation for anything other than the derivative. Text uses it for the quantity “some time later” in Ch. 8.
c.	Some questions are of the “Professional application” nature, I think that is really nice to spark the students’ interest and show application of the material in the real world. d.	Many biomedical applications and examples in this text. I do find this material interesting, but it is a definite extra that is very prevalent in the chapter questions as well as supporting chapters. I'm a fan of applications, but I wish the topics were a bit more varied. e.	I like the presence of conceptual questions at the end of the chapters, gives the students a chance to test their 'general feel' of the concepts before plugging in numbers into equations. f.	In terms of relevance to Canada: there are quite a few photographs of US navy, SOPS, NASA, security agents. Many examples of places in the United States, the book is definitely US-centric. While reviewing this textbook we compared it to two other widely used first year algebra based physics textbooks, Physics by Giancoli and College Physics by Knight, Jones and Field. we have taught many courses using both these standard textbooks. The openstax College Physics text covers all of the topics that the other two texts cover. It is perhaps even more comprehensive than either Giancoli or Knight. For example when introducing electric charge it discusses quarks. The openstax text has 1269 pages in a font that is smaller than either Giancoli or Knight and the text goes right to the edges of the pages. It is unlikely that a typical student in an algebra based introductory course would be able to work their way through the textual part of the book. Giancoli (1004 pages) and Knight (1067 pages) use only 2/3 the width of the page for text and the large margin for pictures or examples. This makes these texts much easier to read than the openstax text. If a student chooses to print the openstax book on regular paper, double sided, it is 8cm thick whereas Giancoli is only 3.5cm and Knight 4cm, including the hard covers. At the end of each chapter the openstax text has a useful glossary of terms encountered in the chapter and a chapter summary that is similar to both Giancoli and Knight. The openstax index is 5 ½ pages long compared to 15 pages in Giancoli and 13 pages in Knight. It has far fewer topics in the index and is missing subcategories under topics such as acceleration, angular momentum and electric circuits. Oddly it has a larger font for the index than the rest of the text so it has more than three times fewer topics in the index than either Giancoli or Knight. The problems at the end of each chapter of the openstax text are its strongest feature. They are similar to those in both Knight and Giancoli. There are an adequate number of them and they have adequate variety and varying difficulty. However, unlike Giancoli and Knight the openstax problems are not labeled according to difficulty, a feature that we as instructors like when assigning problems. An additional feature in the openstax text, that neither Giancoli nor Knight have, is problems labeled Integrated Concepts and problems labeled Construct your own problem. There were some examples of notation that were not adequately explained, for example the use of F12 on page 639 without explaining that it means the force on particle 1 due to particle 2. Also on page 633 it says “she receives an excess of positive charge” which seems to imply that positive charge moves onto her hair, which is not the case. On page 640 the statement “the force that surrounds an object” is not correct. There are an adequate number of examples in the text with nice color pictures. We believe they are in general accurate and correct, although we didn’t go through each one. The type of examples used are the same type as in Giancoli and Knight and we don’t think they are biased in any way. There is an instructor solution manual that comes with the text, an excellent feature here is that both the problem and solution are given. This makes choosing homework problems or problems to do in class much more convenient for the instructor. The online homework system WebAssign is available for this OpenStax text. It costs the students a nominal fee per term but we think it is in general an inexpensive alternate system to Mastering Physics which is included with Giancoli and Knight. Unlike Mastering Physics that has every single problem in Giancoli and Knight, Web Assign has only about one third of the problems in the back of each chapter. Both Web Assign and Mastering Physics have links to the text in many of the problems. However, where Mastering Physics has links to the appropriate pages for students to read before attempting a problem, Web Assign links to the beginning of the appropriate chapter. Mastering Physics is a much more comprehensive online homework system than Web Assign; it has tutorials, conceptual questions, and a test bank. The links to the PhET Interactive Simulations in the openstax text are also available on Mastering Physics for both Giancoli and Knight. Most of the content in a physics text is over 200 years old so being up to date isn’t an issue. However, this text also includes many modern applications of physics such as medical applications of nuclear physics and particle physics. It also has a chapter called Frontiers of Physics that is up to date. In this regard it is equally as good as Giancoli and Knight and the risk of it becoming obsolete is negligible. We found that the openstax text is quite wordy in its explanation of concepts. For example it takes about 10 lines to explain the concept of position whereas Giancoli uses one clear and concise sentence and Knight uses a simple example to explain the concept. The definition of position in the glossary of the openstax text at the end of the chapter is too vague. We think students in general have a very difficult time reading physics textbooks and if the explanations are too long they get lost. We expect this will be the case for most students immediately in the early chapters of this text. The chapters in the text are organized in a consistent fashion throughout the book. The notation is also consistent. It would be easy to pick individual chapters of this book to put together into 2 separate one semester courses just like any standard textbook. 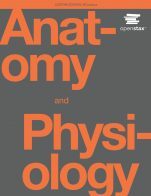 The topics in this text are organized in the same order as both Giancoli and Knight. The Open Stax text has 34 chapters whereas Giancoli has 33 and Knight has 30. The font in the openstax text is Arial and is smaller than the Times New Roman used in both Giancoli and Knight. It is also more closely spaced and goes to the edge of the pages. It is more difficult to read in print than either Giancoli or Knight but on a computer the student could zoom in to whatever resolution they choose. We didn’t notice any grammatical errors. We agree with this statement however since the text originates in the United States it refers to places and things in the US and not Canada. This is true of both Giancoli and Knight. Instructors and physics departments should be very careful about choosing this textbook simply because it is free. The best existing textbooks are much better than the Open Stax textbook notwithstanding the cost implications. Overall we think that this text is overly comprehensive for a first year algebra based physics course. It explains many things that are best left for an instructor to discuss in class but should not require students to read. It would be a good reference for new teachers preparing lecture notes. We think that typical students would feel overwhelmed when trying to read this text. However, it would be appropriate as a resource for problems or specific explanations. This text is sufficient in breadth to teach up to three courses in physics. The problem is these courses would be at a relatively low level equivalent to physics 12 or the Brandon University Physics 090. The problems and examples tend to be one step or simple two step problems keeping it from the level I would want for an algebra based introductory university course. There, I would want students to (for example) solve problems where there are multiple forces on an object and the result to be found is a speed after a certain time. Problems on this level are beyond the scope of this book. As a result, there is no need for this level of breadth in the text. I don't see much need to teach a course at this level to include (very introductory) medical physics or atomic physics or particle physics. Those subjects are best covered when a student has a better mathematical background and can study them at a higher level. I suspect the last five or so chapters are there largely to provide reading to a motivated student and are unlikely to be taught in a classroom context. Perhaps they could be used for an arts class who want to know how physics "works" with limited mathematics. Nevertheless I argue that this text is more complete than necessary for the purpose of a Physics 090 type course. The book has a very good index as is standard in any introductory text. It is possible to search the text for a given term and find all occurences of it. The fact that it is online allows you to click to go to a certain section which is a nice feature unavailable with a traditional paper book. The ability to quickly find a certain point in the text is a valuable part of being an online document. The final sections of the book with atomic masses, radioisotopes and common information such as constants and conversion factors are valuable, thorough and necessary in a proper physics text. There is even a glossary of the symbols used. This is more akin to that which would be found in a thesis than in a standard textbook. This may be valuable to students, although a properly written book should make it clear what symbols mean when they are used and this book does so. A learning physicist may have more trouble figuring out symbols than a professor such as myself, so I cannot speak definitively of its use. I argue that if anything, this book faults on being overly complete, however if that is the goal there is no chapter on solid state/ condensed matter physics. That is certainly a topic on par with particle physics or medical physics that are discussed, but I argue that none of these chapters would be used in a first year level class with the mathematical level of this text. Yes. The context is accurate, error-free and unbiased. I suspect that with the chance to teach a course on this book a couple of times I might have small nitpicks on certain sections that mislead students, but there are none that are clear for a reading through the text. That is a sign of a well written text. The content is up to date as of 5 or 10 years ago. The references to the Higgs boson seem to have been written before it was observed at the LHC. These need updating. Similarly gravity wave observation is missing. These are topics that a motivated student may look for but are not likely to be taught in any course I would teach using this text. Barring a major new development upending something we traditionally teach in first year physics I think this book is largely written in a format where it can be updated relatively easily. One section where I see the largest potential problems might be the magnetism chapter should magnetic monopoles be observed as predicted by string theory. I think it is worthy of a mention that they may exist before diving into traditional dipolar magnetism. The final chapter on Frontiers of Physics is most clearly the one where the text will be dated most quickly. This chapter will need regular updating or it will quickly become clear that it is predicting things that did not happen and missing huge discoveries. It can become the equivalent of Disneyland's future world when I visited it. The 1960's guess at what the 1980's might look like but when viewed from the actual 1980's it clearly missed the mark as any look at the future would. This chapter again is one that I cannot imagine would traditionally be taught in a first year physics class. There are often forward looking statements in chapters such as the section on the four forces that hints to the Higgs boson which will need updating. These will be harder to find as they are sprinkled throughout the text. This is the way that it should be written. If there is considerable interest in a certain topic in today's research that should be shared with the student as they learn the topic. This does not make updates easy but that is the price of a good text. Yes this text is written at the appropriate level for a physics 090 type class. That is one of its strengths. Even its later chapters which might be seen as extra reading for motivated students are accessible without an instructor helping to interpret them. 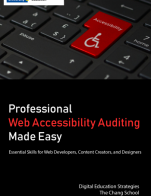 It is free from jargon and technical terms making it very accessible. Ideally I would like to see an online book for an algebra based two term first year physics course. The book needs to be at the level of Knight, Jones and Field College Physics or perhaps Serway and Vuille College Physics (which is a little more advanced than the Knight book). This would be a book that I could use for Brandon University Physics 151 and 152, which is what I am looking for. This book covers all of the topics that would be in such a course and is well written and accessible to a student but it doesn't have enough depth in most of the topics for problem solving on the level that I would want in such a course. There need to be more examples of problems which are more than one or two steps long and problems at the end of chapters of that variety. I think that the conceptual questions in the text are very good. Yes this book is internally consistent. It clearly has taken into account physics education research in many sections about how topics are framed. The fact that it has a section listing the symbols used at the end of the book only serves to make it more consistent than is usually required by a physics text. The glossary at the end of the chapters is good as well. My quibble is that problems are found at the end of any section where they seem appropriate. It would be better to have a larger problem repository at the end of chapters where it isn't so clear to students which topic the problem will be about as it could be any in the chapter. This would improve problem solving skills significantly. I see this as a significant reason I would not adopt this book for Brandon University physics 151 and 152. The text is quite modular. This is standard in most introductory physics texts. As long as a student understands kinematics, vectors and Newton's Laws they should be able to understand any following chapter. This is a strength among the first 30 or so chapters but it limits the scope of the final chapters such that they are unlikely to be used in any traditional first year physics course. In order to have a meaningful chapter on for example medical physics or particle physics it must be done at a higher level for more advanced students. These chapters are most likely extra reading for a motivated student. The topics follow the presentation order that has become rather standard for first year physics texts. I like the fact that fluids are split into two chapters - one for statics and one for dynamics - this is new to me and a positive move. I do not think that presenting topics in a clear logical fashion is unique to this book. This is a problem that has largely been solved in many introductory physics books. I did not encounter any interfacing issues using Firefox on my windows PC. I think it might be useful to be able to click on a chapter in the table of contents and go to the beginning of that chapter. Right now when you click on a given chapter it gives you all the subsections in that chapter and you must select one of them. Going to the start of a chapter on a double click and showing the subsections on a single click may be a solution. I also think being able to go to the questions at the end of a chapter would be beneficial. Right now questions are at the end of any section in which they come up. I did not find any grammatical errors in this text. I do not see any way in which this text is culturally insensitive or offensive. I feel this question does not apply to a physics text as much as it might in the social sciences. This text is a good text for a Physics 090 type course (essentially physics 12 but taught at university). It is well written and takes into account physics education research. If anything it is too comprehensive and contains sections that are not likely to be used in such a course. There is a three volume University Physics text which uses some portions of this text as well. It is developed for a calculus based first year physics course. 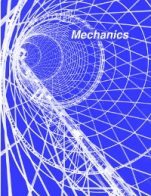 I am looking for an algebra based first year physics text. Perhaps one with more biological examples as those are often relevant to students who might take this course. I want a book at the level of Serway and Vuille College Physics ideally. The problems in this book are usually one stage problems where one must apply one formula or one physics principle. I am looking for more multi-stage problem solving. Ideally there would be problems with multiple forces, vectors and kinematics in the same problem. Ideally there would be problems done using Newton's Laws and then again using conservation of energy to get the same solution. There must be examples of more complex problems and student problems to make this text more useful for a first year algebra based physics course (or two).